"To investigate the unexplained laws of Nature and the powers latent in humanity" is one object of the Theosophical Society. 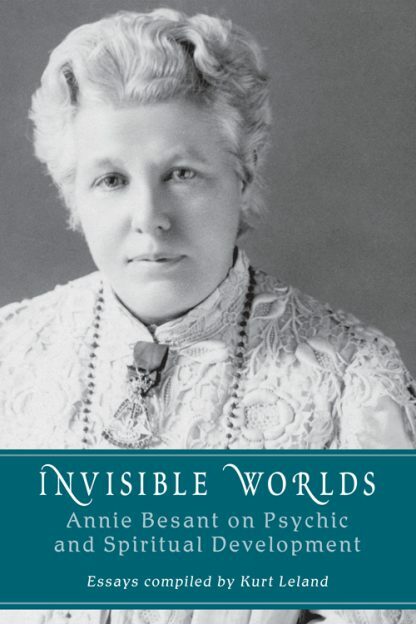 Annie Besant (1847�1933), outspoken feminist, political activist, and early president of the TS, thought that psychic and spiritual development should be available to everyone, not just a chosen few. In her many books and articles providing guidelines, her goal was not to help students develop supernormal powers, but to help them increase consciousness in order to receive instruction from the ascended Masters. Besant believed this work had positively changed her life and wanted others to enjoy the same benefit. Although penned a century ago, Besant�s wisdom on the subject is still germane. Her prose is clear and inspiring, and Kurt Leland�s introduction and notes are well-informed. He helpfully divides Besant�s writings into four parts � Occultism Light and Dark, Higher Life Training, the Investigation of Different Worlds, and the Science of the Superphysical.